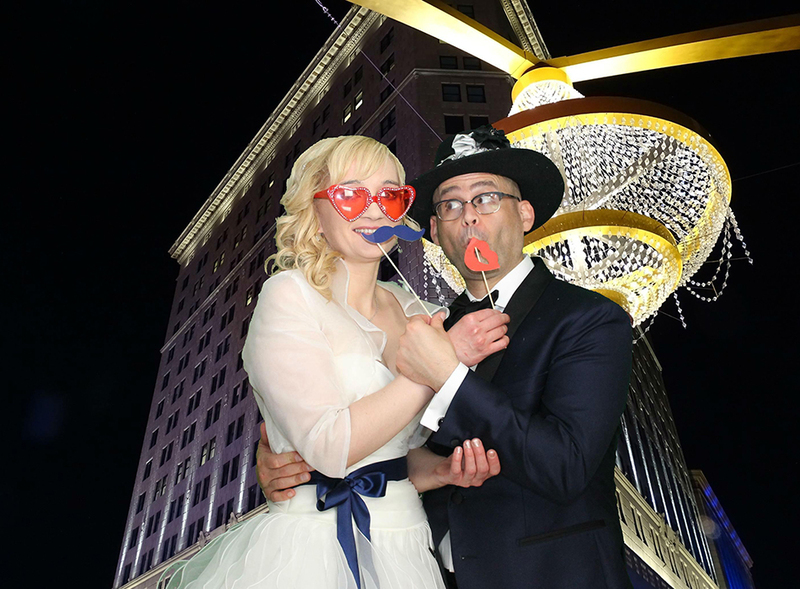 TapSnap is more than the traditional photo booth rental. It serves as your entertainment, message board, wedding favor, and slideshow, all rolled into one! 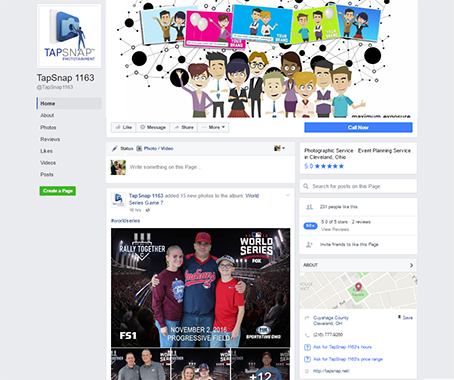 TapSnap is the industry leader in event entertainment. 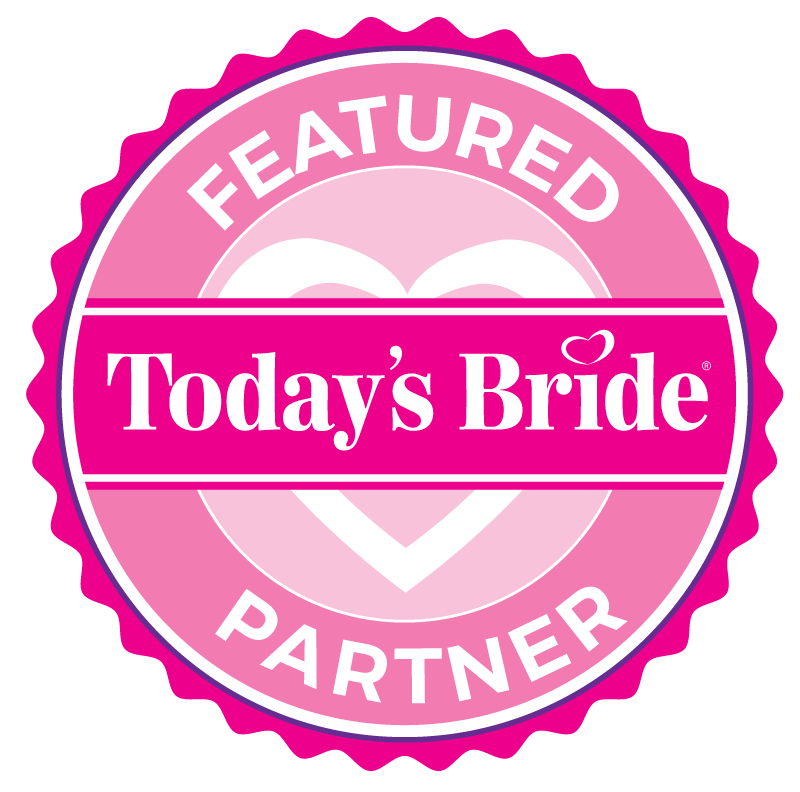 We know you have enough to think about on your wedding day, so let TapSnap take care of the guest entertainment. Our friendly staff guarantees that your guests will have an awesome time. 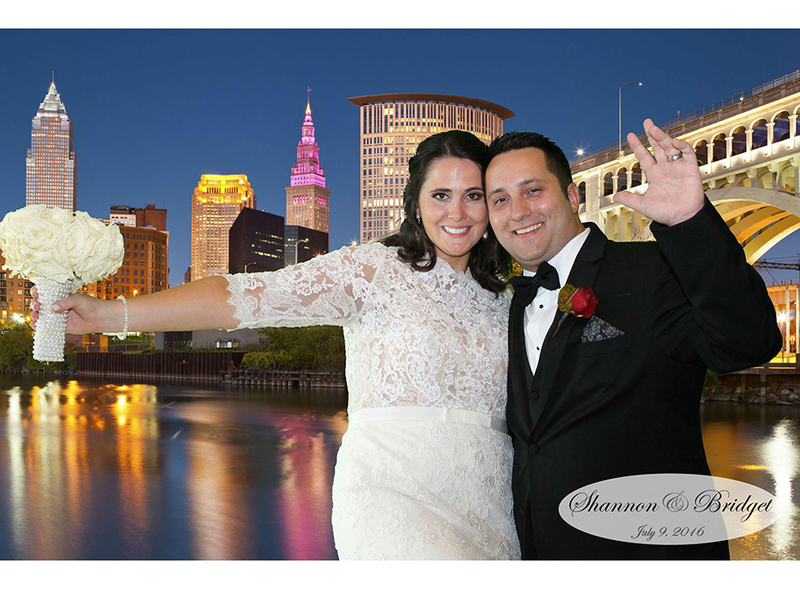 Our photo booths are open air, digitally integrated, and fully customizable. 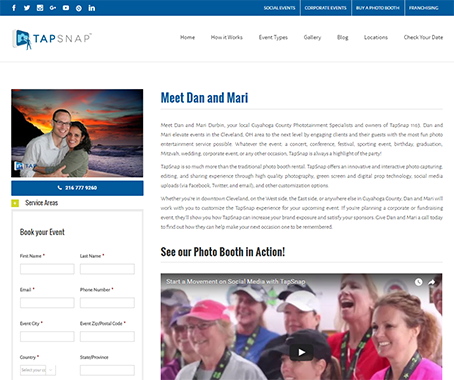 We offer an innovative and interactive photo capturing, editing, and sharing experience. How? We offer high quality photography, green screen and digital prop technology, social media uploads, and other customization options. 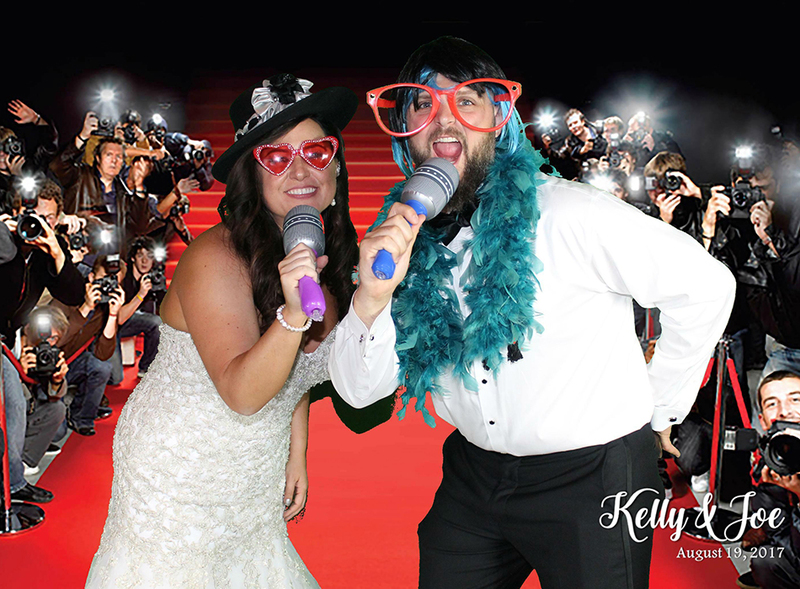 We provide fun, engaging, and one-of-a-kind photo experiences for event guests. You can add as much as you want. 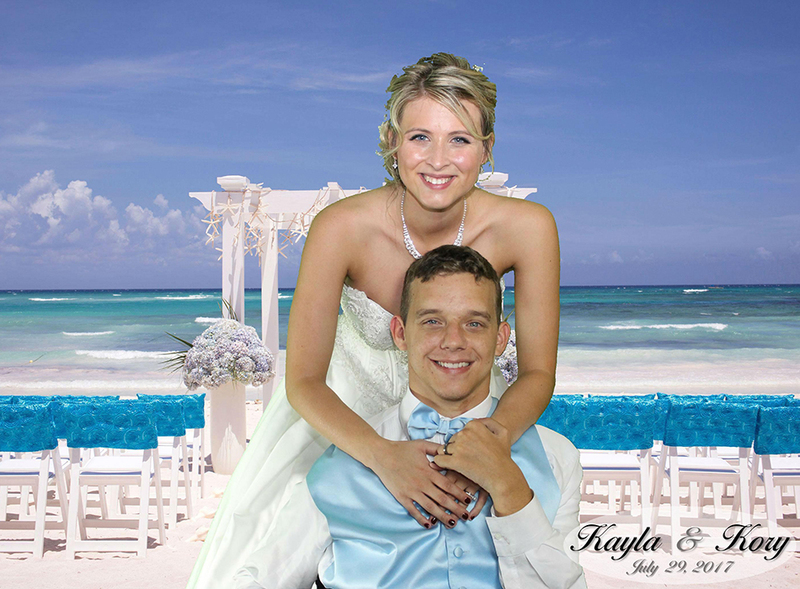 We can wrap the photo booth to match your wedding colors. Or, add your monogram and date to all your pictures! Also, if you’re feeling really lazy, turn your photo into a digital prop so your guests can pose with “you” while you eat shrimp cocktail. 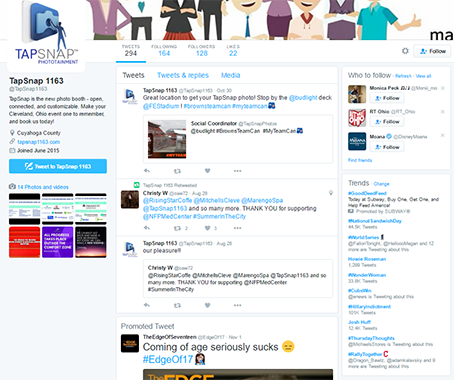 So think outside the booth and book TapSnap for your next event!